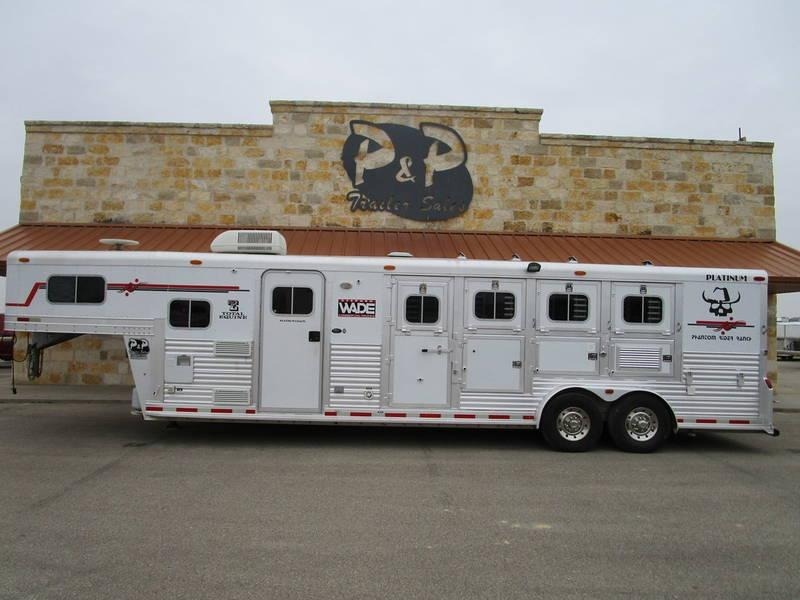 ### The Classic model is 7'0" wide and tall with custom drop down feed doors with face grills, a roof vent in each stall and sliding windows on the tail side. 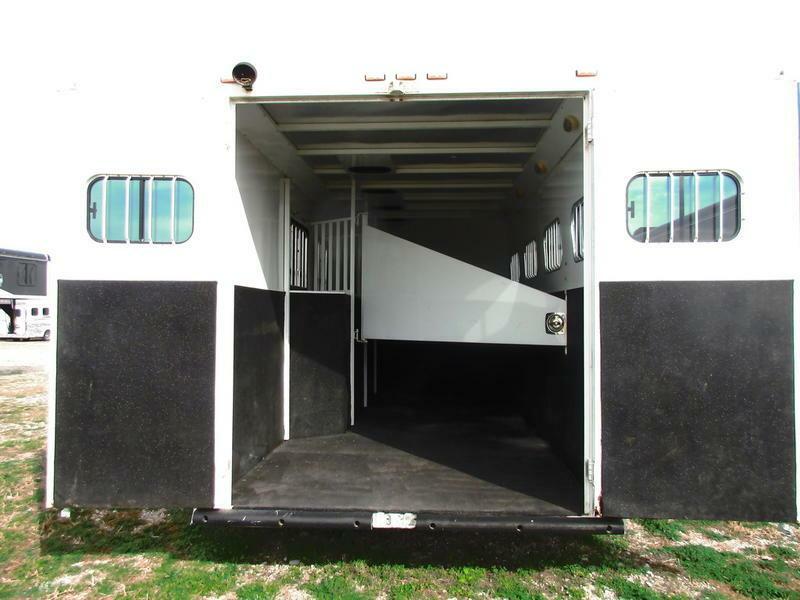 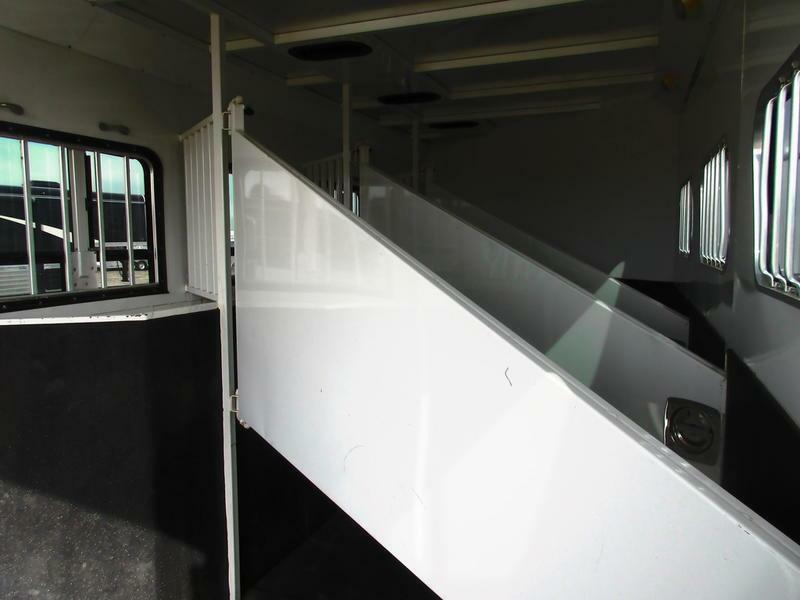 The large stalls provide room and comfort for your horse locked in with the industry's best slam latch divider system. 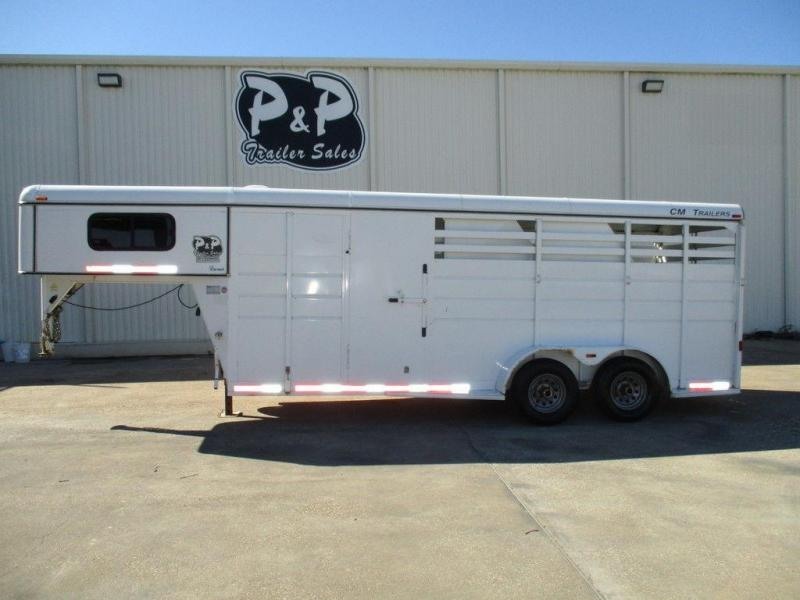 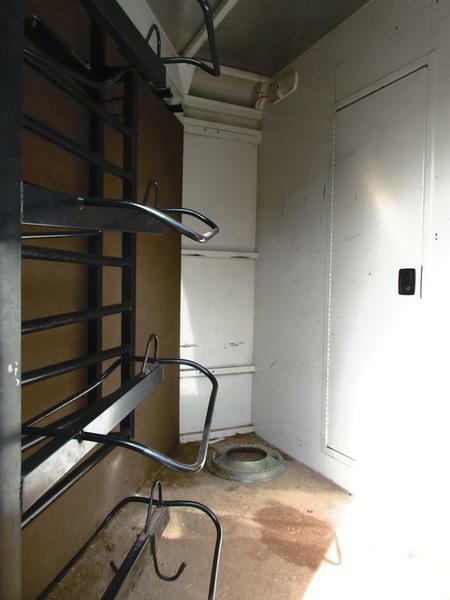 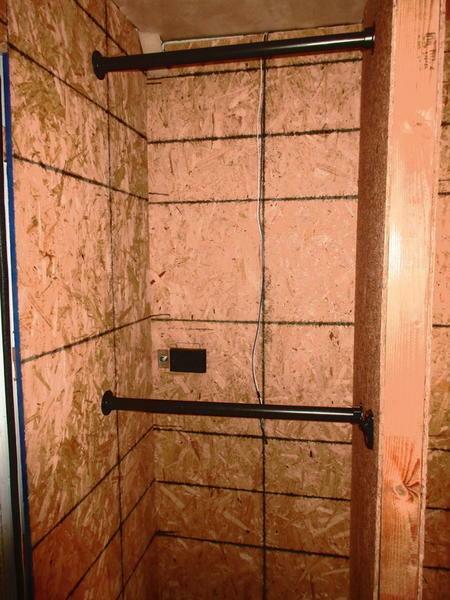 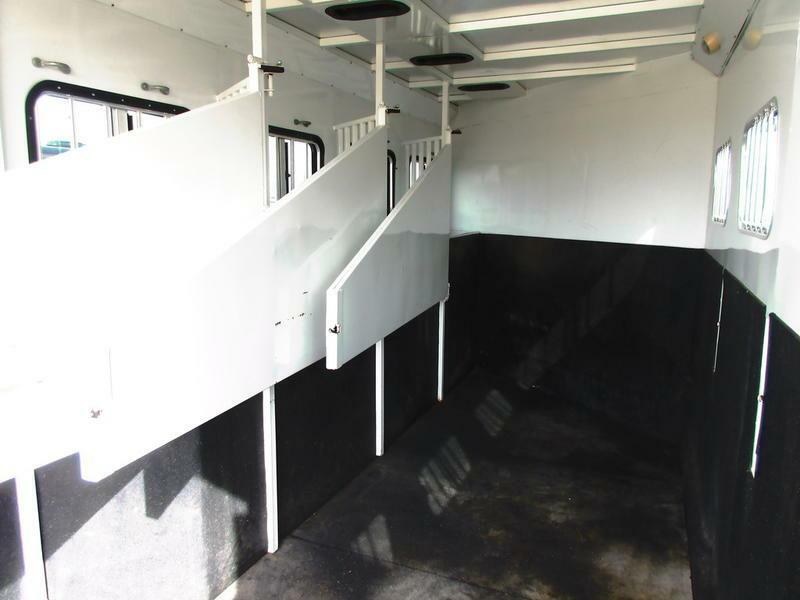 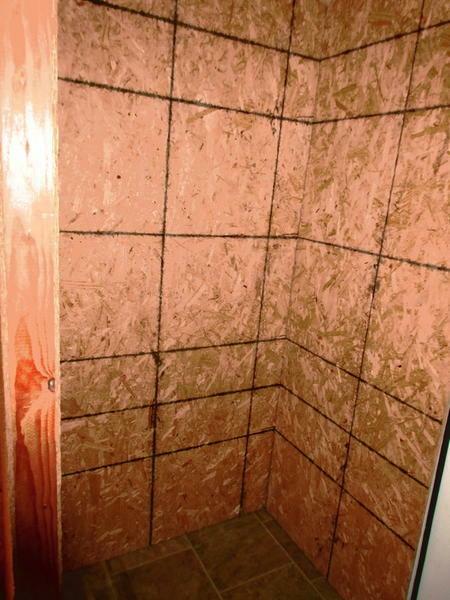 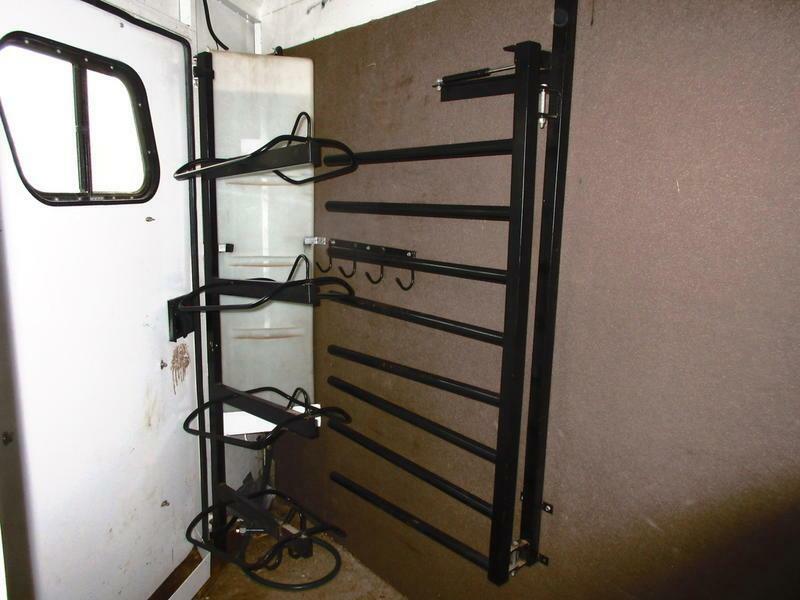 This trailer has a living quarter that will need to be finished out or make your own custom tack room. 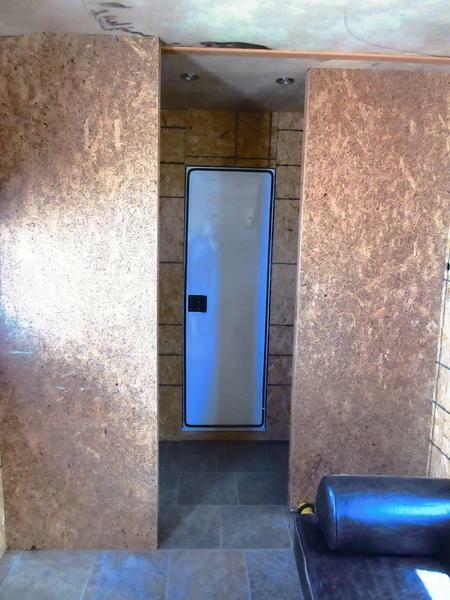 It is in good condition all around. 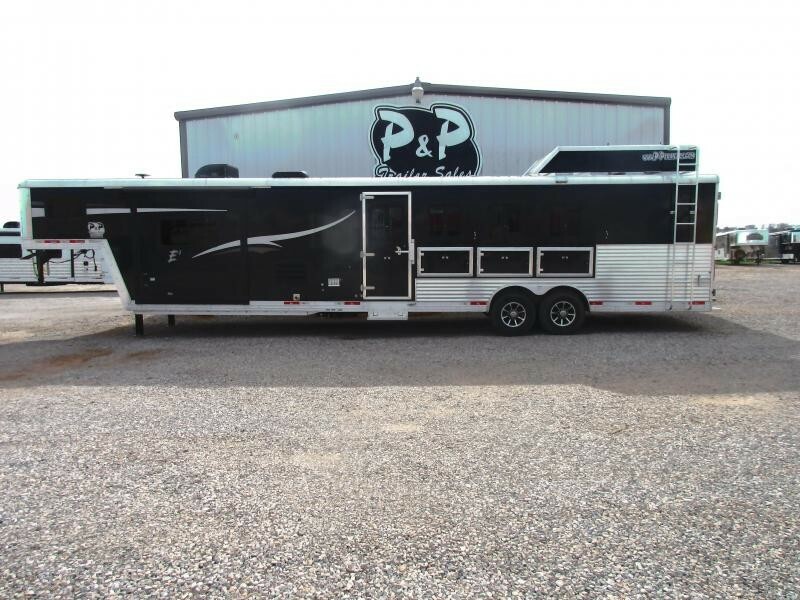 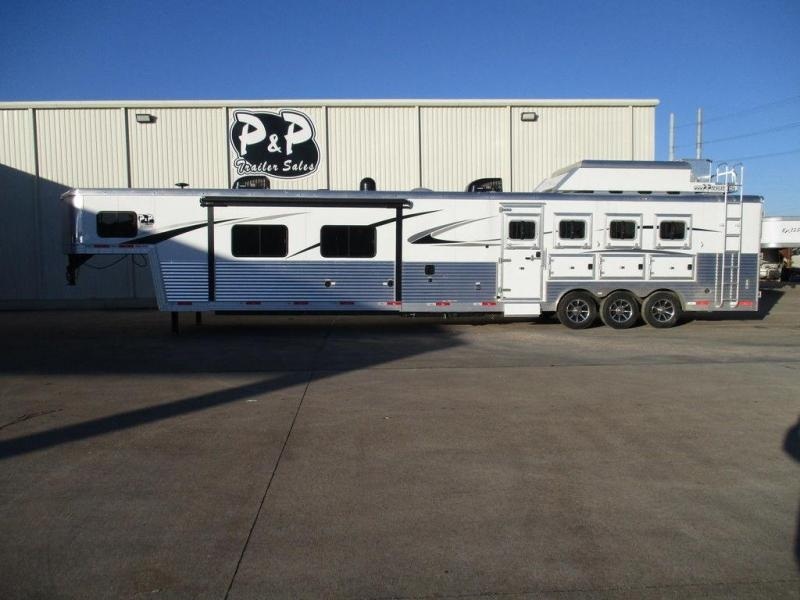 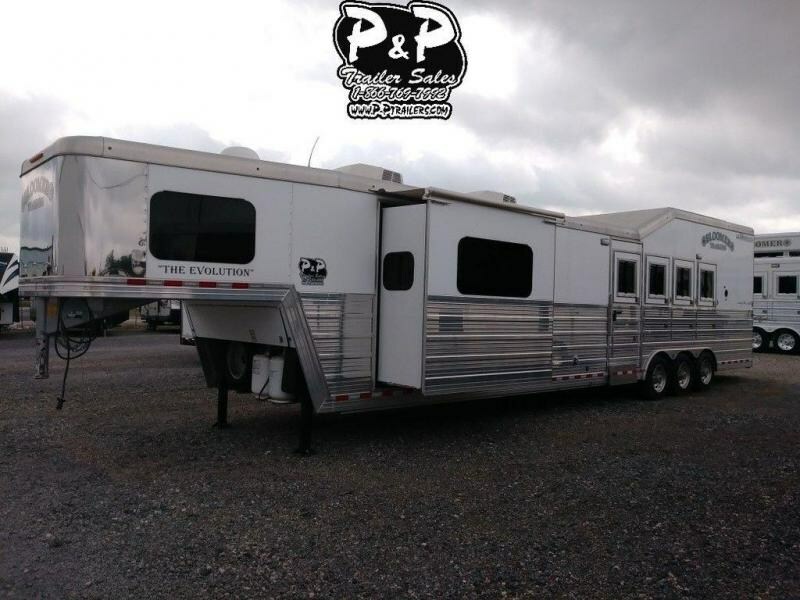 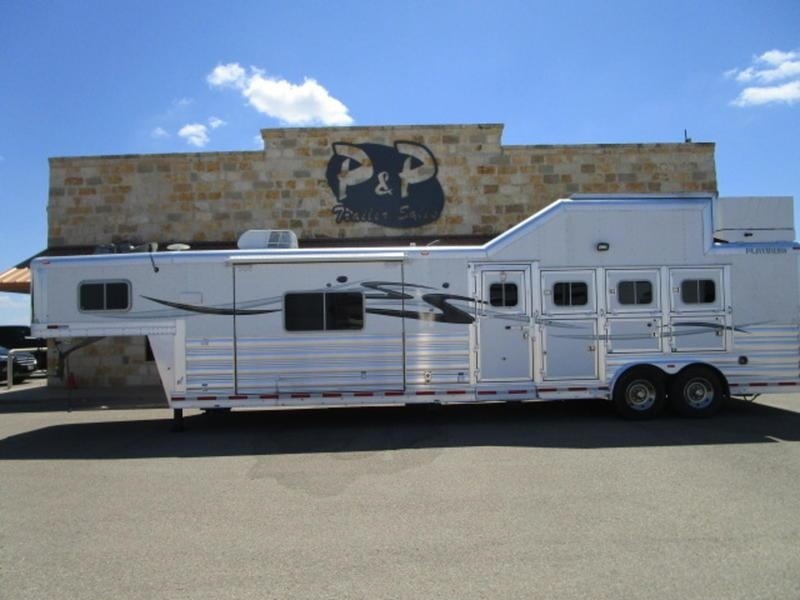 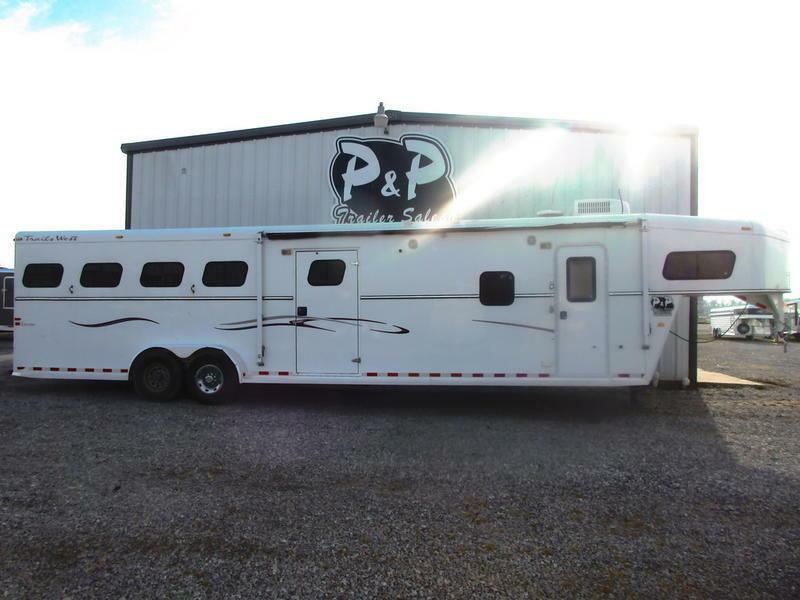 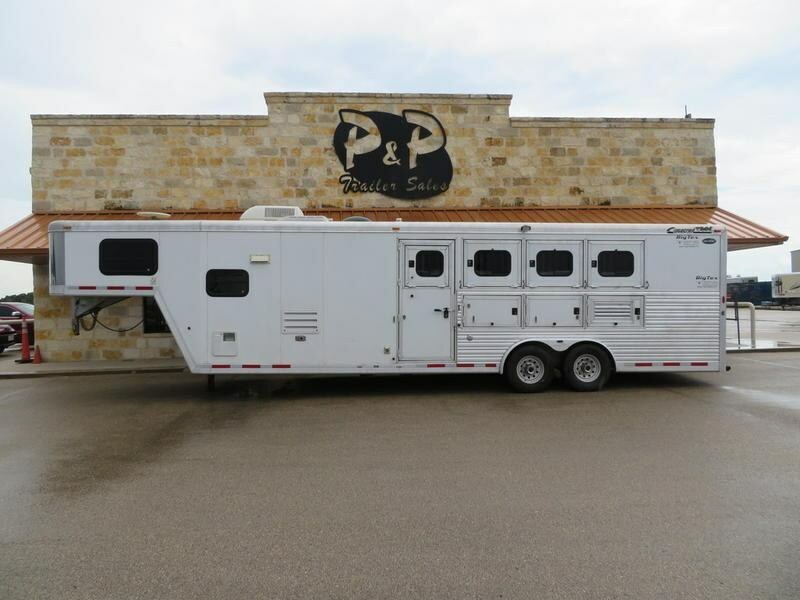 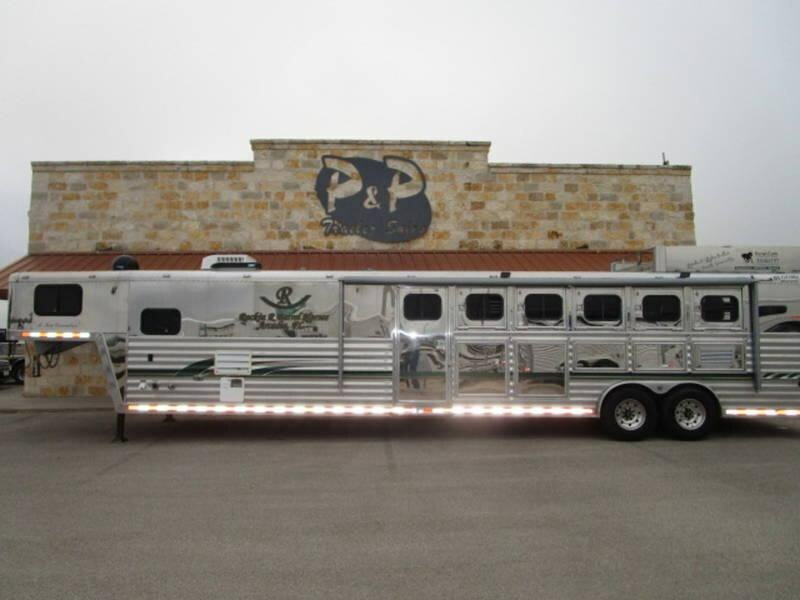 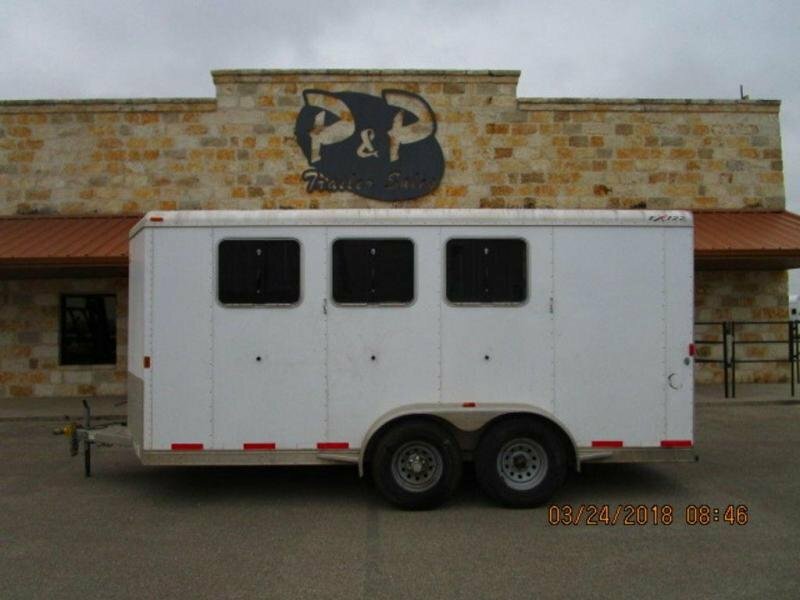 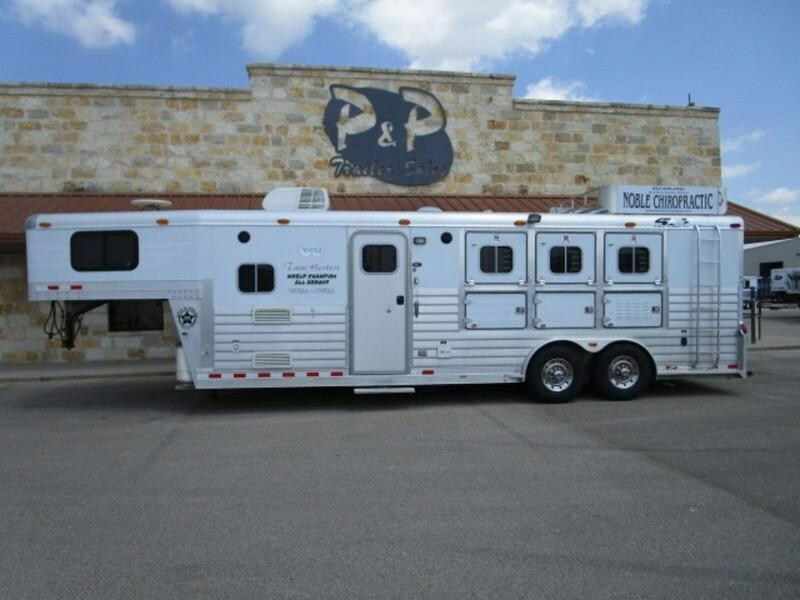 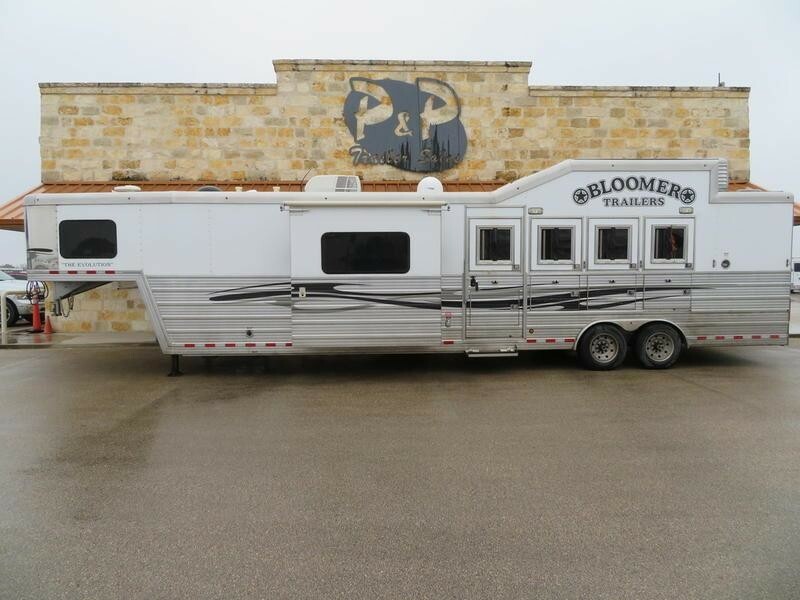 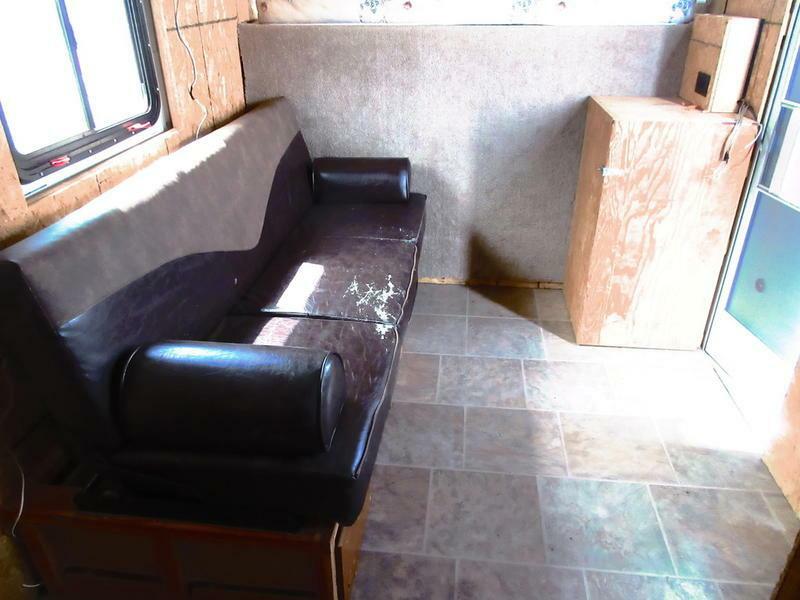 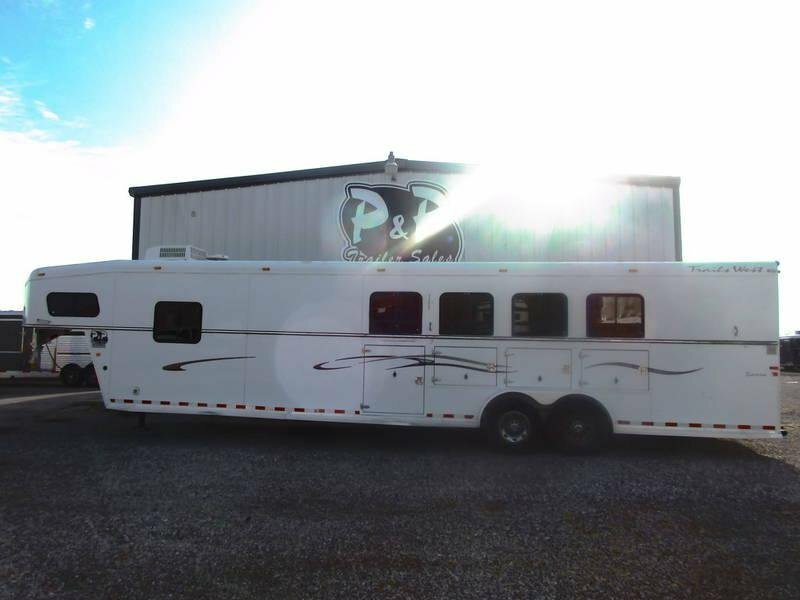 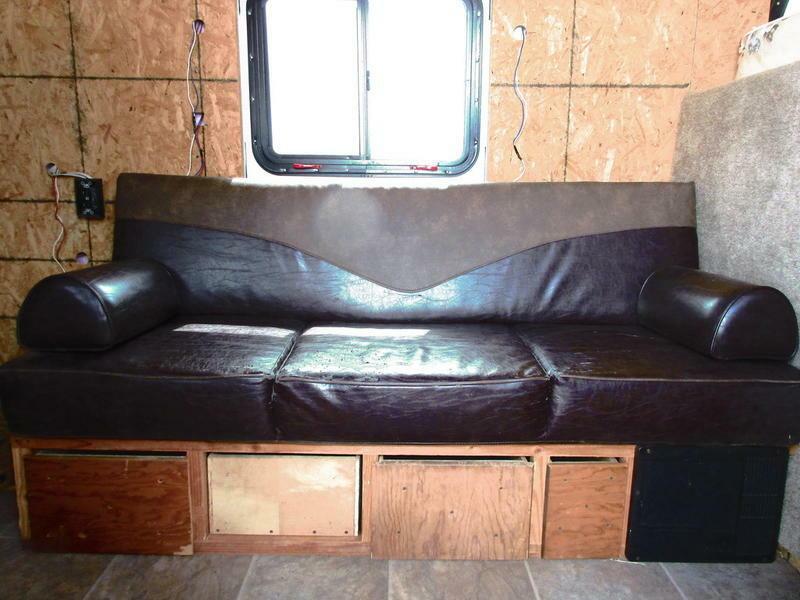 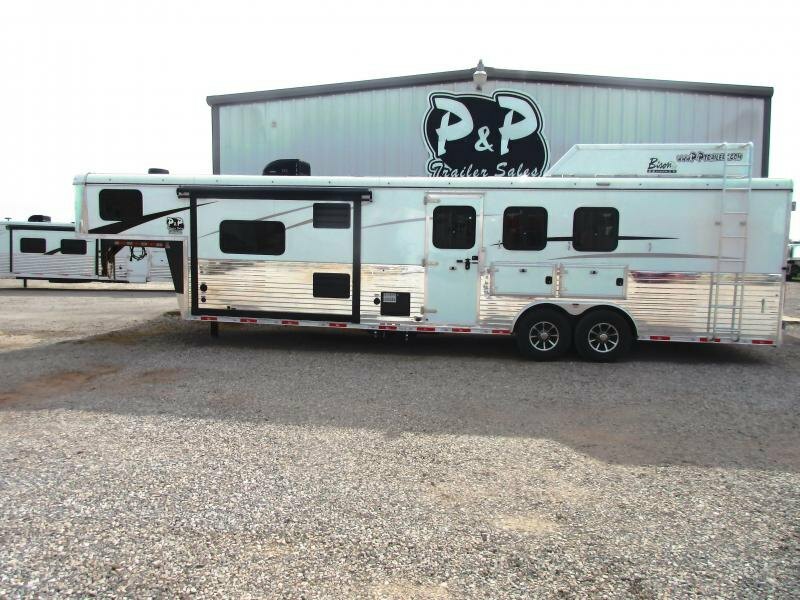 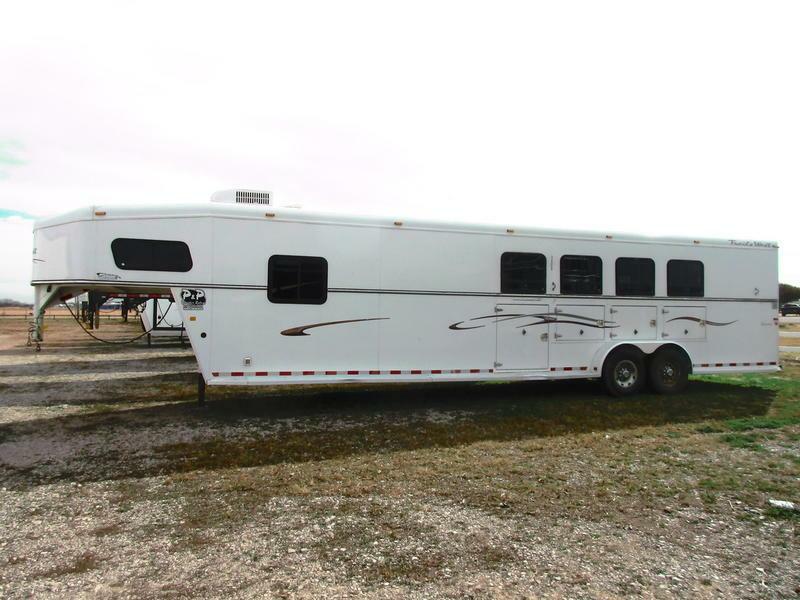 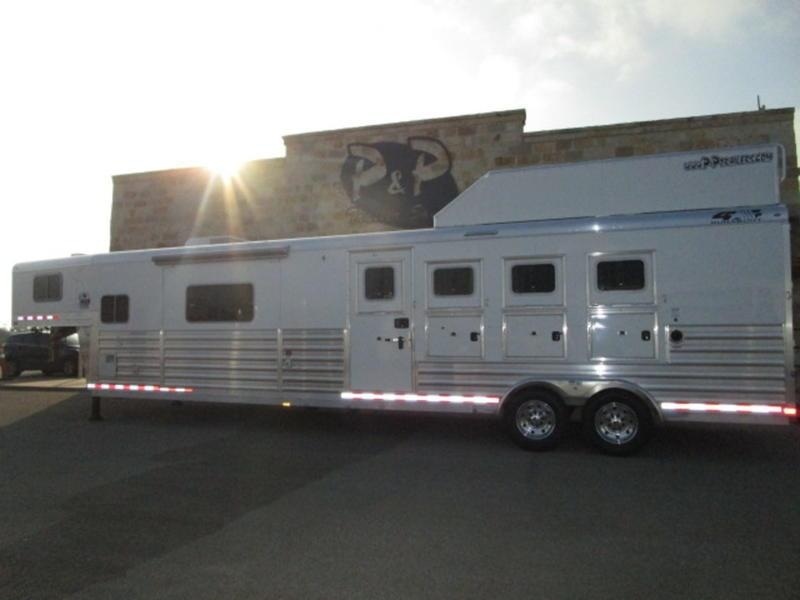 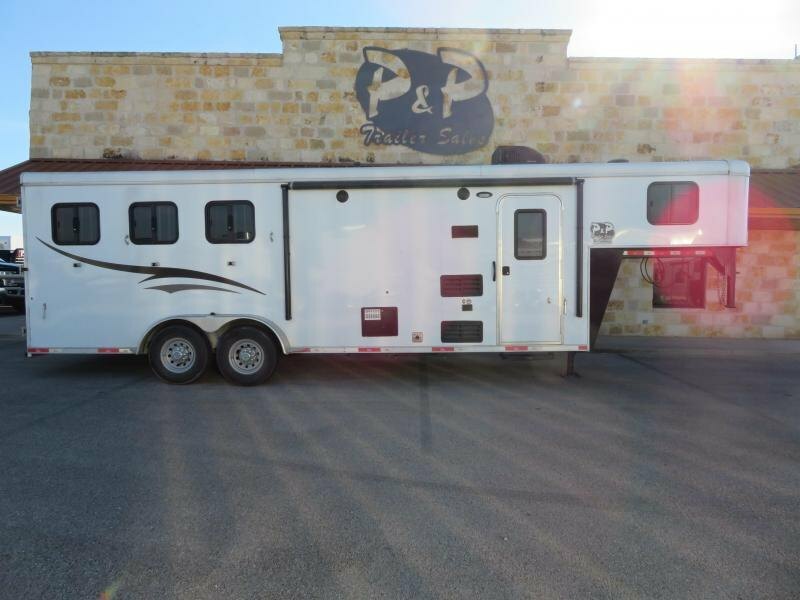 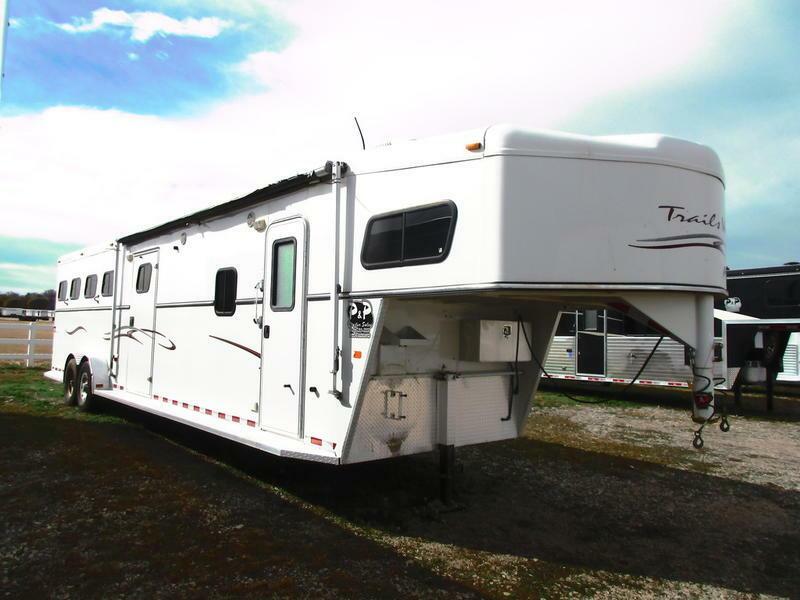 It features an awning, A/C unit, sofa, closet space with clothes rods, walk thru door to mid tack, saddle rack, blanket bars, mangers, manger storage, pop up roof vent per stall, interior and exterior lighting, load light, ties inside and outside, full length running boards, and 50/50 rear doors. 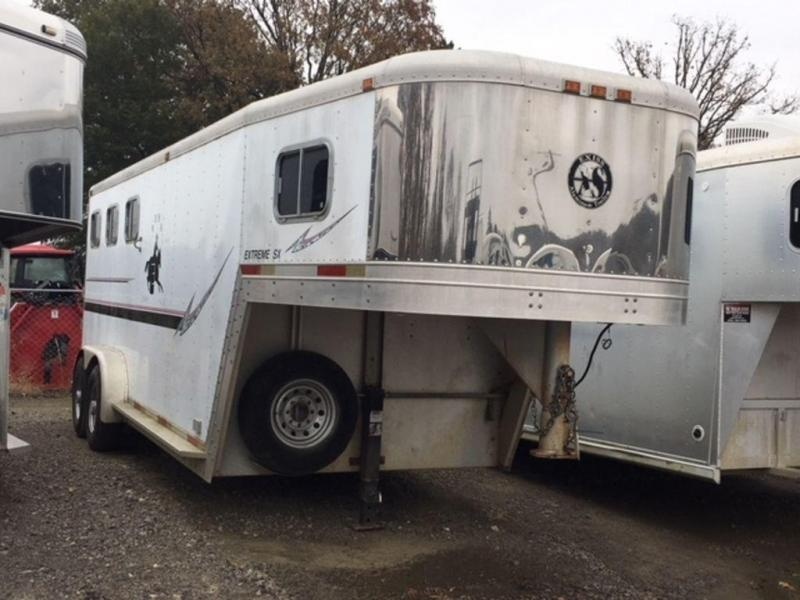 This trailer would be a great project trailer to finish out the living quarter or customize your own tack room!